It’s a new year! If your Counterpoint calendar follows the normal calendar, you’ll want to make sure you’ve updated your system for 2018. That’s it! 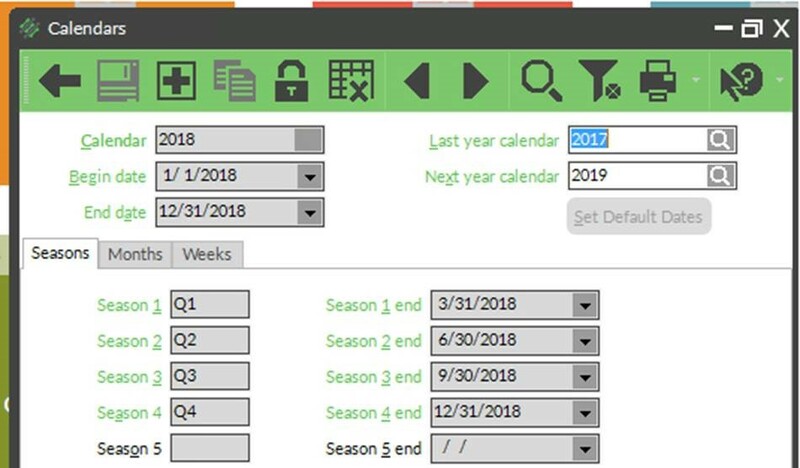 You can control the ability to post transactions to other calendars by System Security Code (Setup | System | Security Codes, Transaction Dates tab).